Krista Cayer, CEO and founder of Cayer Behavioral Group launched her company of one in 2005. Thirteen years later, CBG has developed into a business of 100 professionals all proudly serving children diagnosed with an autism spectrum disorder. Krista Stinson Cayer graduated from FSU in 1996 and immediately relocated to Atlanta, Georgia. While in Atlanta, Krista met a family who had a young son recently diagnosed with autism. The family asked Krista to consider babysitting the child and the babysitting gig swiftly turned into an opportunity to learn the most basic skills necessary to deliver 1:1 therapy to a child with autism. Luck would have it, this family contracted with UCLA and a team of Ph.D. professionals would fly to Atlanta every 6 weeks to train Krista in this highly specialized, “Discrete Trial Training.” This was virtually unheard of in the mid 90’s as there were very few resources for parents who had children diagnosed with autism and the cost to engage in the specialized therapy was prohibitive. In turn, as parents often do, this family had friends who also had children on the spectrum. Krista soon began working with multiple family’s, each having their own set of consultants who would fly into town to train her in the delivery of 1:1 Verbal Behavior Training. The training Krista received was far superior than that of many peers, as accessing cutting edge science was unreachable for most American families. This opportunity was truly an outcome of being at the right place at the right time. 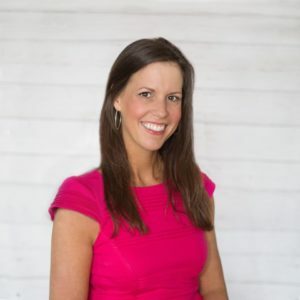 Fast forward 5-years, still living in Atlanta, Krista was running her own small business, providing daily therapy services to a handful of family’s receiving top notch training every 6 weeks by various Ph.D. level Behavior Analysts from all over the country. In early 2000, Krista determined graduate school was in her future. Leaving Atlanta, Krista made a 6-month pitstop in Tallahassee met her future husband Chris and soon thereafter they both relocated to Tampa, Florida so Krista could attend the University of South Florida, ultimately earning her Graduate Degree in Applied Behavior Analysis. During graduate school, Krista continued working on her own, providing 1:1 therapy to children with autism, as well as providing training to her graduate school cohort who had yet to receive the opportunity to learn the dynamics associated with working with small children, and specifically, engaging in Verbal Behavior Training. Krista graduated in 2003 and immediately relocated back to Tallahassee with her husband Chris Cayer. Upon arriving in Tallahassee, Krista began working for a competitor, however soon realized she was missing the opportunity to home grow her own business and felt as through ultimately, she could deliver a better product. So, she did. Chris, Krista and her two daughters Isabella and Emmi can’t imagine working or living anywhere else. Tallahassee has proven to be the perfect landing spot. For more information on Krista or Cayer Behavioral Group please visit www.cayerbehavioral.com, or feel free to contact Krista directly at kristacayer@cayerbehavioral.com.